It started with a fishing trip and a ripple in the air…. Prenna was one of the lucky ones. She was able to escape the blood plague, but not without its consequences on her family. But now, she lives comfortably, still amazed at how much life has changed. Although she still has a habit of swatting mosquitoes that spread the virus, it hasn’t happened yet. She now lives in the time before the destruction of the planet that occurs in the 2070s. Although Prenna should be content with life in a virus-free world, she still holds the flame of challenge against the community, wanting questions answered she knows won’t happen. There are rules the committee enforces on the members ( never reveal to anyone who you are or where you come from; never be intimate with anyone outside of their community to name a few) and seeing Mr. Roberts for sessions when she goes too close to the line of disobedience. She also knows stories of people who have defied the community’s rules – and have now disappeared. Soon, Prenna begins experiencing flashbacks and sees objects and places that are familiar to her from her previous life time, which makes her even more curious. There weren’t supposed to be any…. Ethan remembers the girl at the river. He saw the ripple in the air around her and knew she was different. Now, a few years later, they’ve gone from strangers to friends with Ethan remembering every little event and Prenna not remembering any of it. He decides it’s best to leave well enough alone as he tries hard to not cross the line between friendship and relationship. Although he’s known her for awhile, she still has a mysteriousness to her he can’t quite figure out. But Ethan holds other secrets from Prenna, which will change their relationship and who they are. Then the elusive homeless man appears in their lives, telling Prenna things about the her past and future she can’t ignore as mere coincidence. All it takes is one providential meeting and both she and Ethan are propelled into a new reality of trying to save the world instead of just living in it. But it also means sacrifice in so many ways, and those are the things that will hurt both of them the most. 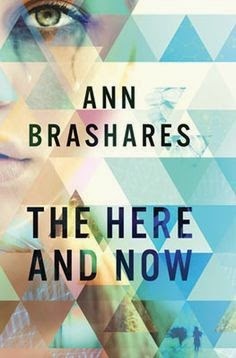 Ann Brashares writes a riveting novel about time travel that will pull readers along with the characters and plot. The separate timelines of the main character are written seamlessly, making the situation more believable and the future bleaker with every page turned. Although the beginning took off a little slow for myself, the interactions between characters as well as the unraveling of the plot steadily developed into a novel I had to know the end to. And Brashares doesn’t disappoint. If you have fans of science fiction and time travel, recommend this to them. Because of the technology that educators and students are using as well as the infrastructure being provided by school districts for devices, libraries and classrooms, more and more, are embracing the paperless society. Although advertising with paper posters can still bring buzz, more and more people are looking at websites, both personal or professional, and what is posted on them. With that in mind, here are the top 10 online poster creators you can use (in no particular order) **UPDATE AT BOTTOM FOR NEW SITE!! Design Wizard https://www.designwizard.com/ This handy tools allows you to create posters, but also cards, backgrounds for web sites and blogs, invitations and more. The most unique feature is the creation of videos with this site! Posterovenwww.posteroven.com Create your own poster to share, save, or print with already provided templates you can custom design. Incorporates QR codes as the main theme in all templates. No registration required. Keep Calm-o-matic – http://keepcalm-o-matic.co.uk We all know the familiar Keep Calm posters. Here’s a place you can create your own. After creation, it is part of the many other public Keep Calm posters created. You can post it on social media outlets as well as save it as a pdf. Login only required if you’d like to keep your posters private. 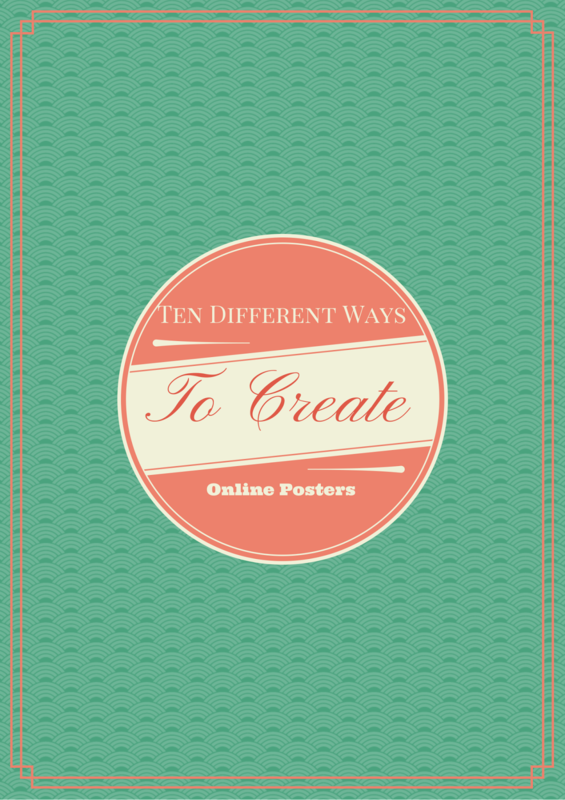 Canva – www.canva.com This site not only allows you to create a poster, but you can also create many other things including a blog graphic, presentation or a card. Choose from hundreds of different options but be aware that there are higher quality options that cost (typically $1.00 per graphic). Share on social media outlets or save and publish online. Registration required. Picmonkey – www.picmonkey.com This isn’t just a photograph editor, it can create beautiful posters as well. Add text, background, images and frames, then take it to the editor. You can save to your desktop or share via social media outlets. There are parts of the site that are premium and require payment but the free parts are more than enough to create beautiful posters. Registration required. Lucid Press - https://www.lucidpress.com/pages/examples/free-online-poster-maker This is the more sophisticated poster maker that looks a lot like MS Publisher. It allows for more freedom of creativity with many different functionalities. You can share it via social media, share the link or publish it online. Registration is required. Recite This - http://www.recitethis.com/ Choose from an assortment of poster backgrounds by sliding through your options. The only thing you need to create is your text. Share it via social media, a permalink or email. No registration required. Muzy (app) is available for Andoid, Iphone, Ipod, or Google Play. 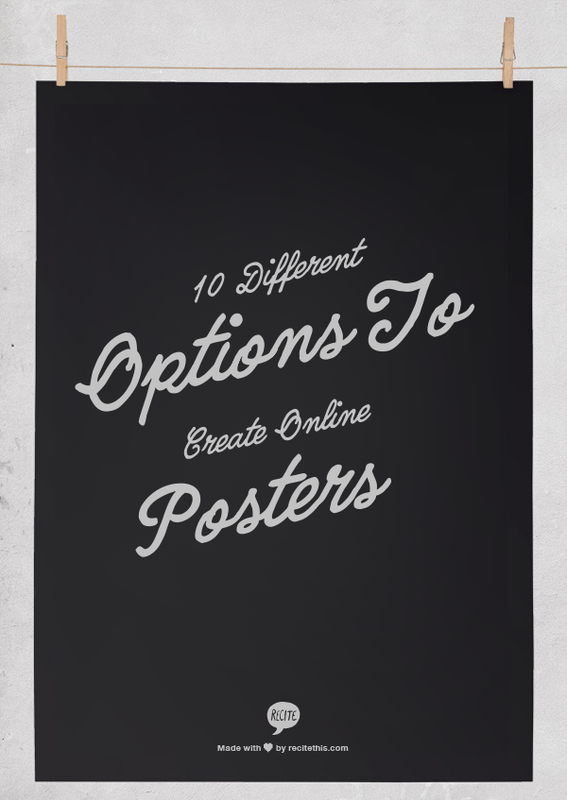 Create a poster using your own photos from Facebook, photo album, or Google Images (be careful with this option...it doesn't differentiate between Creative Commons and copy written images) and add text to create an online poster. Share it via Instagram or Facebook. Registration required. I discovered this website through the co-founder on Twitter, and LOVED it instantly! Easy to use, easy to share, you have your choice of backgrounds, photos and information you supply. While the format is set, the creativity is all yours! Laila remembers her father crumpling to the ground, shot to death. She remembers being rushed from the palace to a waiting airplane...then the blur begins. Now, she is safe in the United States, but she doesn't feel safe. Nothing here is familiar. Laila knows that although they are still alive, things are definitely different. Gone are the extravagant clothes, parties and food. In its place are bare cupboards with no income. Her mother has changed as well. She meets with a group of men from her own country, and they talk secretively about things. There is shouting and anger involved in every conversation. Laila sees a man lurking in the corners and is sure that he works for the American government. But why is he so interested in her family? What Laila wants "is an interpreter. Not for the language, but for life" in this new place where the rules she has always lived by no longer apply. The girls here dress differently, act differently. She doesn't understand their culture but wants to try. Then there are the boys, especially Ian. Everyone is telling her what she already knows but she isn't sure she can give back the affection he shows. Life in school is confusing at best, with her dangling between what she knew and what she needs to know. Having friends helps tremendously, and it's through small talk with them that she hears, for the first time, about her father and the horrors he committed. War, murder, embezzlement....this can't be the same father she loved, who protected her from her evil uncle, who indulged her....So she goes to the most dangerous place to find out more information. The library shows Laila the truth not only about her father, but about her country. It's falling into shambles without a government to take over after years of dictatorship. It's filled with corruption from the legacy her father left into the hands of her uncle, fervent in his religion and will to dominate. And with this truth comes the knowledge that somehow, her mother is still involved in the politics there, working with the Americans but to what end, she doesn't know. Laila is kept in the dark but she is making sure she doesn't stay there for long, and when she slowly uncovers the truth, safety is no longer an option for her or those she cares for. J.C. Carleson writes a beautifully balanced book about love and hate, war and peace, tradition and truth. Laila represents innocence through oppression as she slowly fights through this to find out that the truth can be an ugly place to live. Carleson's characters are deep and synonymous with the many facets of not only American life, but Middle Eastern life as well and weaves several familiar stories about the turbulent Middle East without designating where Laila and her family is from. It's a story about two sides, but which is the darker side depends on who the character is. One of many things Carleson is best at is the beauty in her writing. There were several times I had to stop and re-read portions of the story simply because of how lyrical her writing is. 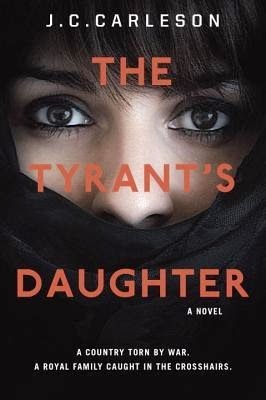 Her other strength is being able to transport the reader into not only a different world through a story, but also to the world of modern day Middle East and how politics, both domestic and foreign are involved. The reader will also appreciate how Carleson uses her own past experiences to make this novel come alive. You know you have a good book when you read it in one sitting. This is a must have book for all collections.